fuzzy matching, match propagation, simultaneous processing of multiple-file projects, simultaneous use of multiple translation memories, external glossaries, support for right-to-left languages. Compatible with other translation memory applications (TMX). 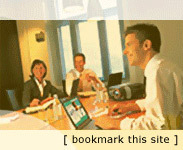 2 ]project-open[ ]project-open[ is a web-based project & service management system for companies with 3-3000 employees. ]po[ helps you to run your business by covering areas including CRM, sales, project planning, tracking, collaboration, timesheet, finance, invoicing and payments. 3 Open Office Full Office Package - Free. 4 Simple Invoices Simple Invoices is a webbased invoicing app designed for simple easy invoicing. Sends invoices as attached PDF to your clients. 5 doPDF A free open-source printer driver to create PDFs from any application. 6 Olifant Olifant is a program aiming at helping you to create and maintain translation memories (TM) files. (.NET framework required). 8 TranslAid Lite TranslAid is a multilingual CAT tool which includes a translation memory. Its main feature is an on-screen dictionary which allows you to insert definitions at the click of the mouse. 9 FletMail 1.103 A free merge mail software. 10 BK ReplaceEm 2.0 Allows making changes in all files with just one click. 11 TexFinderX Another tool to search and replace text in files in entire folders. One of the fastest and most innovative browsers. Includes RSS reader. One of the most popular browsers. Includes google toolbar. 17 FileZilla 3.0 A fast and reliable FTP, FTPS and SFTP client with lots of useful features and an intuitive interface. Free. 18 ICQ Popular instant message communicator. 19 DeepBurner 1.9 High quality CD/DVD burning. Free version. 20 StarBurn Free StarBurn is an advanced CD/DVD/Blu-Ray/HD-DVD burning, grabbing and mastering software. 21 Comodo Firewall and AntiVirus is now Comodo Internet Security. 23 Cobian Backup 9.1.1 Cobian Backup can be used to schedule and backup your files and directories from their original location to other directories/drives in the same computer or other computer in your network. FTP backup is also supported in both directions (download and upload). 24 7-Zip 7-Zip is a file archiver with a high compression ratio. 25 Rename Master The program lets you automatically rename file names and even to change extensions. 26 CCleaner Cleans your PC by deleting unnecessary files. Cleans up the registry as well. Cleans the history of visited urls, opened files etc. 27 Open SUSE Linux A free operating system. 28 Ubuntu Linux Ubuntu is a community developed operating system. Ubuntu contains word processing and email applications, web server software and programming tools. 29 Mandriva Linux A free operating system. 30 Fedora Linux A free operating system. 31 Getleft A free website grabber, it downloads complete websites according to the options set by you. 32 Pencil Pencil is an animation/drawing software. It lets you create traditional hand-drawn animation (cartoon) using both bitmap and vector graphics. Pencil is free and open source. 33 Synfig Studio Synfig is a free, powerful, industrial-strength vector-based 2D animation software package, designed from the ground-up for producing feature-film quality animation with fewer people and resources. 34 Sweet Home 3D Sweet Home 3D is a free interior design application that helps you placing your furniture on a house 2D plan, with a 3D preview. 35 GNU Solfege Solfege is an ear training program that can be used to train your rhythm, interval, scale, and chord skills. 36 Maxima Maxima is a system for the manipulation of symbolic and numerical expressions, including differentiation, integration, Taylor series, Laplace transforms, ordinary differential equations, systems of linear equations, polynomials, and sets, lists, vectors, matrices, and tensors. Maxima yields high precision numeric results by using exact fractions, arbitrary precision integers, and variable precision floating point numbers. Maxima can plot functions and data in two and three dimensions. 37 Celestia Celestia provides photo-realistic, real-time, three-dimensional viewing of the solar system, the galaxy and the universe. 38 Stellarium Stellarium is a free open source planetarium for your computer. It shows a realistic sky in 3D, just like what you see with the naked eye, binoculars or a telescope. 40 Money Manager Ex Money Manager Ex© is a free, open-source, cross-platform, easy-to-use personal finance software. It primarily helps organize one's finances and keeps track of where, when and how the money goes. It is also a great tool to get a bird's eye view of your financial worth. 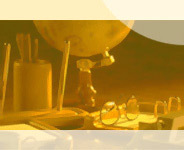 K-3D A free 3D modeling and animation program. It features a plugin-oriented procedural engine for all of its content, making K-3D a very versatile and powerful package. K-3D excels at polygonal modeling, and includes basic tools for NURBS, patches, curves and animation. XMind XMind, is an open source brainstorming and mind mapping software tool developed by XMind Ltd. It helps people to capture ideas, organize to various charts, and share them for collaboration. Supporting mind maps, fishbone diagrams, tree diagrams, org-charts, logic charts, and even spreadsheets. Often used for knowledge management, meeting minutes, task management, and GTD. KompoZer is an open source WYSIWYG HTML editor. Warning: Looks like php commands are not supported by KompoZer. 45 Inkscape An Open Source vector graphics editor, with capabilities similar to Illustrator, CorelDraw, or Xara X, using the W3C standard Scalable Vector Graphics (SVG) file format. Inkscape supports many advanced SVG features (markers, clones, alpha blending, etc.) and great care is taken in designing a streamlined interface. 46 Scribus Scribus is an open-source desktop publishing (DTP) application with a combination of "press-ready" output and new approaches to page layout. Scribus supports professional publishing features, such as CMYK color, separations, ICC color management and versatile PDF creation. 47 PDFTK Builder A free open source application to split, merge or combine PDF files. 48 ReNamer ReNamer is a file renaming tool, which offers all the standard renaming procedures, including prefixes, suffixes, replacements, case changes, as well as removing contents of brackets, adding number sequences, changing file extensions, etc. For advanced users, there is a PascalScript rule, which let users program their very own renaming rule. In addition, it has an ability to rename folders, process regular expressions, Unicode capable, and supports variety of meta tags, such as: ID3v1, ID3v2, EXIF, OLE, AVI, MD5, CRC32, and SHA1. Mozilla Thunderbird is a free, open source, cross-platform e-mail and news client. Flexible, powerful, and lightweight. 50 Spamihilator Spamihilator works between your E-Mail client and the Internet and examines every incoming E-Mail. Spam mails will be filtered out. The Learning Filter (Bayesian Filter) uses the rules of Thomas Bayes and calculates a certain Spam-Probability for every E-Mail. In addition Spamihilator uses a Word-Filter, that searches messages for known keywords. User-defined words and regular expression can be added. 51 HDClone HDClone creates alternatively physical or logical copies (clones) of hard disks and other mass storage media. HDClone is a perfect tool for backups and copies of entire software or operating system installations. A special 'SafeRescue' mode makes HDClone an invaluable tool for rescuing defective hard disks and other media. 52 Audacity Audacity is free, open source software for recording and editing sounds. 53 Art of Illusion Art of Illusion is a free, open source 3D modelling and rendering studio. 54 GIMP GIMP is an open source raster graphics editor. It can help you edit and create images, icons, graphical elements of web pages and art for user interface elements. 55 jetAudio Basic CD Burning, Recording, and File Conversion. JetAudio plays most major file formats and various video or audio tracks. You can even convert audio files to various formats. 56 Recuva Accidentally deleted an important file? Lost something important when your computer crashed? No problem! Recuva recovers files deleted from your Windows computer, Recycle Bin, digital camera card, or MP3 player. And it's free! 57 Anvil Studio Record music with MIDI and Audio equipment, compose music for MIDI and Audio equipment, sequence music with MIDI equipment, or play with music using a computer and sound card. 59 SmoothDraw SmoothDraw is a natural painting and digital free-hand drawing program that can produce high quality pictures. Supports many kinds of brushes (pen, pencil, dry media, airbrush, bristle brush, image hose, etc. ), retouch tools, layers, image adjustment, and many effects. 61 PeaZip PeaZip is a free open source file and archive manager: create 7z, ARC, BZ2, GZ, PAQ/ZPAQ, PEA, QUAD/BALZ, TAR, UPX, ZIP. Extract 123 archive types: ACE, ARJ, CAB, DMG, ISO, LHA, RAR, UDF and many more. 62 Free Studio Free Studio is a free software package which can convert video and audio files between different formats and optimize them for iPod, PSP, iPhone, BlackBerry and other portable devices; burn and copy DVDs and audio CDs; perform basic editing of audio and video files and more. 63 Paint .NET Paint.NET is free image and photo editing software. It features an intuitive and innovative user interface with support for layers, unlimited undo, special effects, and a wide variety of useful and powerful tools. It has been compared to other digital photo editing software packages such as Adobe® Photoshop®, Corel® Paint Shop Pro®, Microsoft Photo Editor, and The GIMP. 64 Greenfish Icon Editor Pro GFIE Pro is a powerful icon, cursor, animation and icon library editor. Layer support with advanced selection handling makes it a really professional and unique freeware tool for designing small pixelgraphic images. GFIE offers high-quality filters like Bevel, Drop Shadow and Glow; supports editing animated cursors and managing icon libraries. The program has a portable version - just unpack it to your USB drive and use it anywhere. 65 John’s Background Switcher John’s Background Switcher (or JBS for short) periodically changes the background image on your computer (like every hour or every day). You can specify which pictures to choose. 66 DVDStyler for Windows DVDStyler is a cross-platform free DVD authoring application for the creation of professionally-looking DVDs. It allows not only burning of video files on DVD that can be played on standalone DVD player, but also creation of individually designed DVD menus. Alternative: DVD Flick. 67 ImgBurn ImgBurn is a free CD, DVD, Blu-ray, HD DVD copy and burn program. ImgBurn supports BIN, CUE, DI, DVD, GI, IMG, ISO, MDS, NRG and PDI, AAC, APE, FLAC, M4A, MP3, MP4, MPC, OGG, PCM, WAV, WMA, WV. ImgBurn can be compared to DVD Clone. 68 Xinorbis Xinorbis is a powerful HDD contents, structure, file distribution and file composition analyzer. It provides file data of a hard disk, folder, removable or network drive in the form of tables, graphs, tree displays. 69 Pegasus Mail Pegasus Mail is a free mail client able to individualize your mass mailings using your .csv database. 70 CADE CADE is a tool for 2D vector graphics creation. Not as powerful as Visio, still, it can be used to create diagrams, network diagrams, flowcharts, schemas, maps and more. The program uses DXF12 format that is compatible with AutoCAD, it also allows export into EMF, JPG, PDF and XAML. CADE is not only a 2D vector editor but it is a tool to publish and share drawings over the Internet. Published CADE documents are viewable with a regular Web browser without any plug-in. 71 CamStudio Record what is happening on your screen and save the file in .avi or .swf format. This can be used for creation of video lessons, demonstration of software usage etc. 72 Free Audio Converter Convert your audio files into other formats: FLAC, WAV, MP3, WMA, M4A, AAC, OGG and APE. 73 JPEGSnoop JPEGSnoop shows photo's EXIF metadata, chromatic data, JPEG quality, resolution, Huffman tables, RGB histograms. Supported formats include: JPG, RAW, PDF, AVI, MOV, QTVR. 75 Free PDF to Word Converter Easy and fast converter of PDF files to Ms. Word files. Will retain the original layout of the document, including graphics, fonts and formatting. 76 SciLab Scilab is an open source, cross-platform numerical computational software. It can be used for signal processing, statistical analysis, image enhancement, fluid dynamics simulations, numerical optimization, and modeling and simulation of explicit and implicit dynamical systems. MATLAB code, which is similar in syntax, can be converted to Scilab. Scilab is an open source alternative to MATLAB. 77 Speccy Speccy will give you detailed statistics on every piece of hardware in your computer, including motherboard, CPU, RAM, graphics cards, hard disks, optical drives, audio support. Additionally Speccy adds the temperatures of your different components. Speccy comes from the developers of CCleaner, Defraggler and Recuva. 78 HxD Hex Editor A hex editor and disk editor. It can open files larger than 4 GiB and open and edit the raw contents of disk drives, as well as display and edit the memory used by running processes. Among other features, it can calculate various checksums, compare files, or shred files. 79 KDIFF3 A free open source tool that lets you compare text in 2 or 3 text files. The program will show you the difference line by line. 80 Advanced Renamer A free application for renaming multiple files or folders at once. It can use several different methods for calculating the new name including multimedia tools for sound and picture files. Linux is any Unix-like computer operating system that uses the Linux kernel. Linux is one of the most prominent examples of free software and open source development: typically all underlying source code can be freely modified, used, and redistributed by anyone. Mac OS is the trademarked name for a series of graphical user interface-based operating systems developed by Apple Inc. (formerly Apple Computer, Inc.) for their Macintosh line of computer systems.